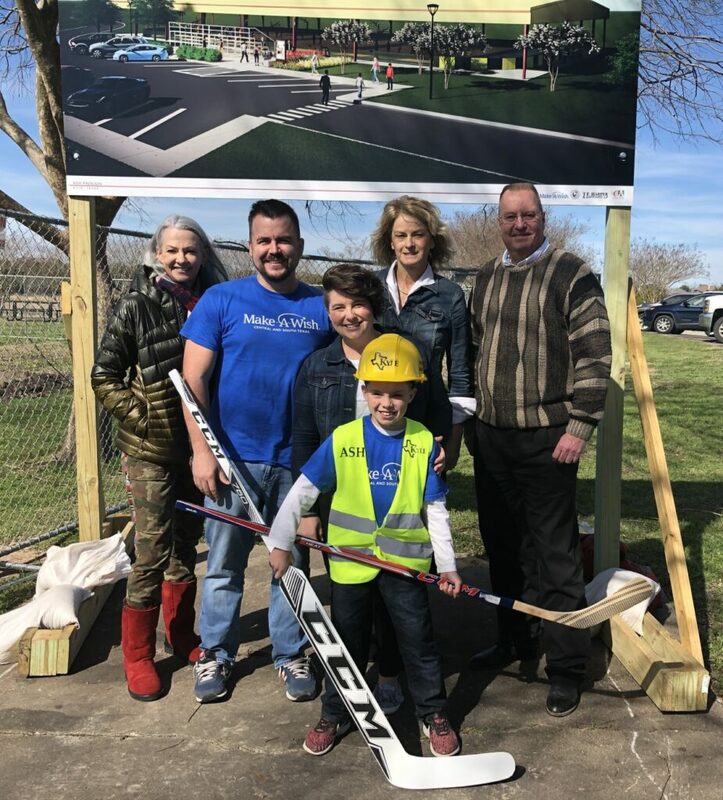 SouthWest Water Company is celebrating its 10th wish in Texas with Make-A-Wish by helping to sponsor the construction of a roller hockey rink for 10-year-old Ash from Kyle, Texas. Ash, who loves hockey, has a congenital heart defect and has undergone three open-heart surgeries since he was born. Ash’s family moved from Colorado to Texas because the lower altitude makes it easier for him to breathe, and he misses having access to roller rinks to play his favorite sport. Since the company’s partnership with Make-A-Wish began five years ago, SWWC has sponsored 10 wishes in service areas across the state. The first wish was in 2013 for 6-year-old Zaria from Pflugerville, who has Louis-Bar syndrome. SWWC adopted her wish to go to Disney World and hosted a send-off party for her at the SWWC office in Pflugerville, complete with music, games and Disney princesses. In 2015, SWWC granted the wish of 8-year-old Magen from Athens, Texas who has Langerhans Cell Histiocytosis. Make-A-Wish hosted a party for Magen, her family and friends, and SWWC to celebrate the wish—to be a zoologist for a day at the Henry Doorly Zoo in Omaha, Nebraska. SWWC helped grant the wish of 5-year-old Aubrey from Kerrville, Texas in 2017 to have a hot tub at her home. Aubrey has cerebellar ataxia, a progressive medical condition that affects muscle coordination and control of her gait. Hot tubs are ideal for children with medical conditions that affect their muscles—providing relief to sore bodies. The most recent wish for Ash is a major project in partnership with the City of Kyle, local businesses and residents. The roller hockey rink will be complete with nets, scoreboards and other multi-purpose enhancements and is estimated to open in 2019. SWWC is grateful for the partnership with Make-A-Wish and for the opportunity to support the communities we serve. With each wish, the company meets an extraordinary child who makes a lasting impression on us.